The confirmation was intended to support brewers while also ensuring a harmonization of the tax system. 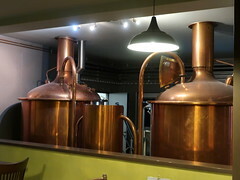 However, the European Commission has now suggested that it will take the view that all ingredients used in the production of a beer will be considered for taxation, even if the ingredient is added after the fermentation. The possible end-effect of the stance is that flavoured beers will be taxed at a higher rate than a standard beer, even if they are produced at the same location at the same time. The Brewers of Europe insists that this tax stance is tantamount to taxing everything used in beer, not just the alcohol, which is against the decision and view of the European Court of justice.